For reviews visit the review page. For full credits and ordering copies on DVD visit our catalogue page. For dates and details of screenings visit the Spectacle Events page. “Outside the Law: Stories from Guantánamo” is a new documentary film telling the story of Guantánamo (and including sections on extraordinary rendition and secret prisons) with a particular focus on how the Bush administration turned its back on domestic and international laws, how prisoners were rounded up in Afghanistan and Pakistan without adequate screening (and often for bounty payments), and why some of these men may have been in Afghanistan or Pakistan for reasons unconnected with militancy or terrorism (as missionaries or humanitarian aid workers, for example). 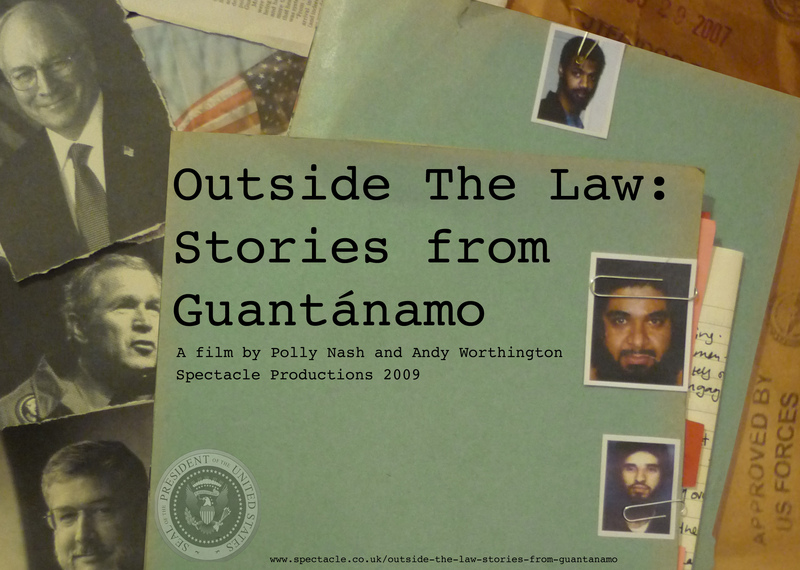 The film is based around interviews with former prisoners (Moazzam Begg and, in his first major interview, Omar Deghayes, who was released in December 2007), lawyers for the prisoners (Clive Stafford Smith in the UK and Tom Wilner in the US), and journalist and author Andy Worthington, and also includes appearances from Guantánamo’s former Muslim chaplain James Yee, a London-based Imam, and the British human rights lawyer Gareth Peirce. Focusing on the stories of three particular prisoners -- Shaker Aamer (who is still held), Binyam Mohamed (who was released in February 2009) and Omar Deghayes -- “Outside the Law: Stories from Guantánamo” provides a powerful rebuke to those who believe that Guantánamo holds “the worst of the worst” and that the Bush administration was justified in responding to the terrorist attacks of September 11, 2001 by holding men neither as prisoners of war, protected by the Geneva Conventions, nor as criminal suspects with habeas corpus rights, but as “illegal enemy combatants” with no rights whatsoever. Polly Nash is a lecturer at the London College Of Communications, part of the University of the Arts, London, and has worked in film and TV for 20 years. 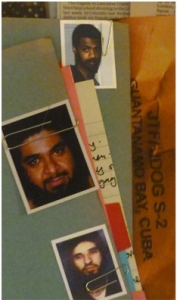 Cageprisoners Ltd is a human rights organisation that exists solely to raise awareness of the plight of the prisoners at Guantanamo Bay and other detainees held as part of the War on Terror. We have the backing of both Muslim and non-Muslim lawyers, activists, former detainees, families of prisoners and academics.